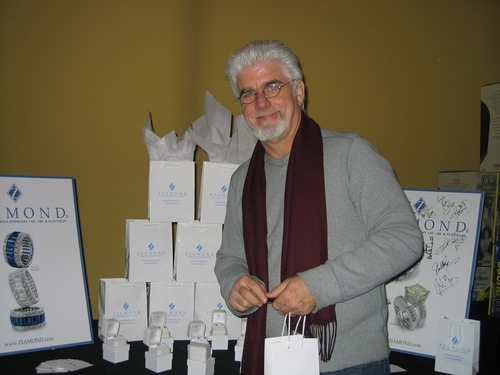 Actor Michael McDonald visited with Ziamond Cubic Zirconia Jewelers Collection of 14k gold, 18k gold and platinum jewelry. Ziamond cubic zirconia cz jewelry is a best kept secret in celebrity circles! Ziamond cubic zirconia cz jewelry allows celebrities and stars to enjoy freedom and peace of mind when traveling and stay hip to the latest jewelry trends.